The classic comedy “Home Alone” opens with Joe Pesci dressed as a police officer going door to door in a wealthy neighborhood, gaining intelligence on the holiday plans of the homeowners in the name of security. This is all, of course, part of a plan to rob each home during the holiday season – or it would be if Pesci and his co-conspirator Daniel Stern hadn’t been stopped by an 8-year-old armed with flying paint cans, nail guns and a neighbor with a snow shovel. Homeowners nowadays don’t need to worry about this scenario, though, as there are a variety of state-of-the-art security systems on the market designed to protect their homes. The holidays are a tempting time for thieves. 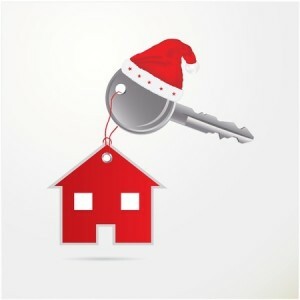 Homes are filled with gifts – either to be given or that you’ve received – presenting a lucrative target. People also tend to travel more during the holidays while visiting friends and family, if even just for an afternoon, which offers would-be thieves a window of time to strike. To be safe during the holidays, homeowners should make sure they are prepared with a comprehensive property security system that will protect them now and well into the future. New systems today equip homeowners with control of their home in the palm of their hand. Many security systems are now tied to mobile devices, allowing homeowners to watch security video from their phone, control garage doors or ensure doors are locked. Systems can even control the home’s temperature and lights from a distance, giving homeowners a feeling of safety and control that their home is safe while they are away. The holidays are a fun time to spend with the ones you love. With the proper security system in place you can make sure all your time is spent focusing on enjoying your time with them instead of worrying if your home is secure. Let us help you get the peace of mind you’re looking for. Call Leading Edge Security and Home Technology today at 812-325-6286 to learn more.